SLE Conference Host Content Manager maximises the communication efforts of host organisations to their participants and delegates both onsite and online. 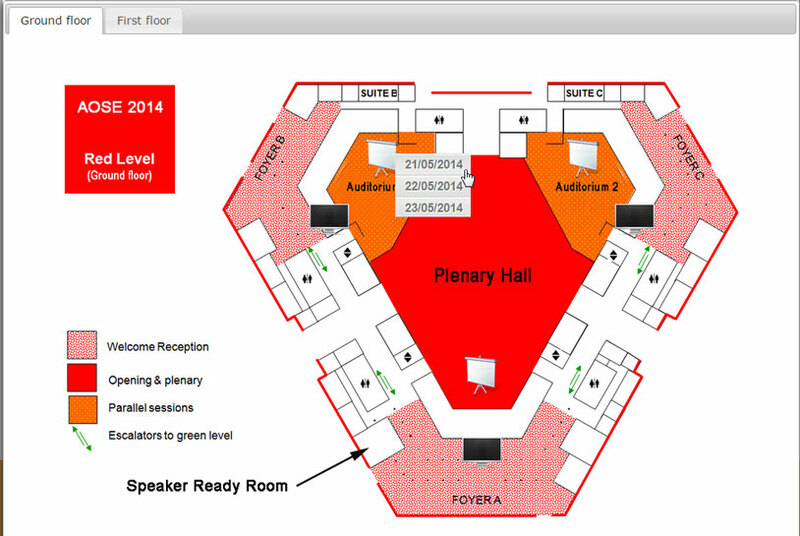 Through in-built facilities, the solution allows organisers streamlined information management for conferences, exhibitions and other meetings. Whether for guidance, brand building or any other purpose that prompts host organisations to provide, SLE Conference Host Content Manager is a solution that simplifies the process. Full digital branding for all output channels including Conference website, Session room presentations, Digital signage, Kiosk presentations and e-poster displays. Specialised content creation such as interactive floorplans, sponsor slides, urgent announcements and many more. Design and styling of Program overviews, Abstracts overviews, Room agendas, Speaker bios, Committee and organiser information as well as session and presentation info slides.